London’s first all-avo dining concept began life as a pop-up. It took off and now has a permanent site. 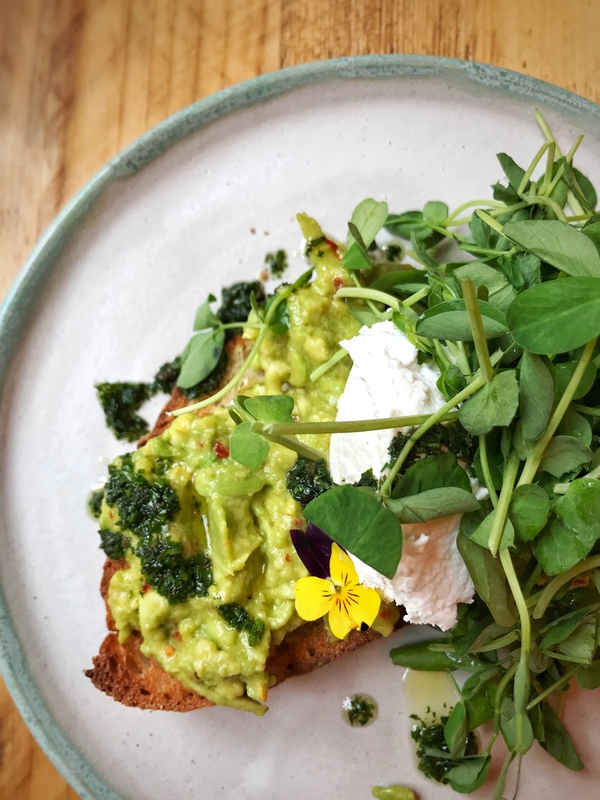 Avobar does pretty much what it says on the tin – it’s a restaurant where everything on the menu has avocado in it, on it or blended into it. It’s the perfect green homage to the humble fruit. Set away from the hustle and bustle of Covent Garden, Avobar is the perfect spot for a lazy weekend brunch or a quick work time lunch with colleagues. There’s something on the menu for everyone so expect queues. Walking into Avobar will bring a smile to your face. The lobby is full of avo-merchandise: t-shirts, bowls, jumpers and quirky gifts ideal for the avo-lover. There are plants everywhere you look- lining the seating area and intertwining above the tables. Green tiles and the wooden seats are lined with colourful cushions and create a cosy atmosphere. 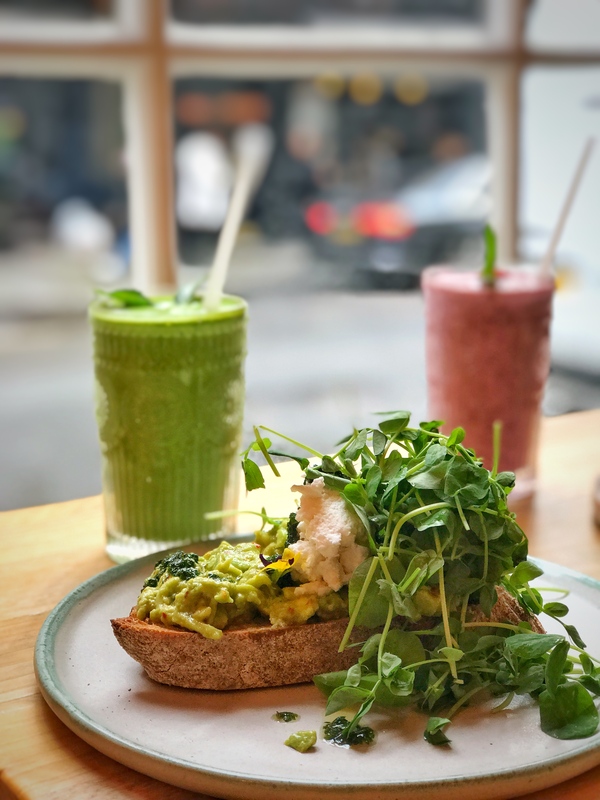 In the middle of the restaurant you’ll find the quirky coffee and smoothie bar which constantly churns out superfood lattes and vegetable-packed drinks. While the back of the restaurant offers extra seating for large groups and is perfect for an evening dinner party. Impressively, Avobar sources their avocados ethically and sustainably working with growers and farmers all over the world. We ate avocado. And lots of it! Any which way you like, Avobar caters to all your avocado cravings and then some. 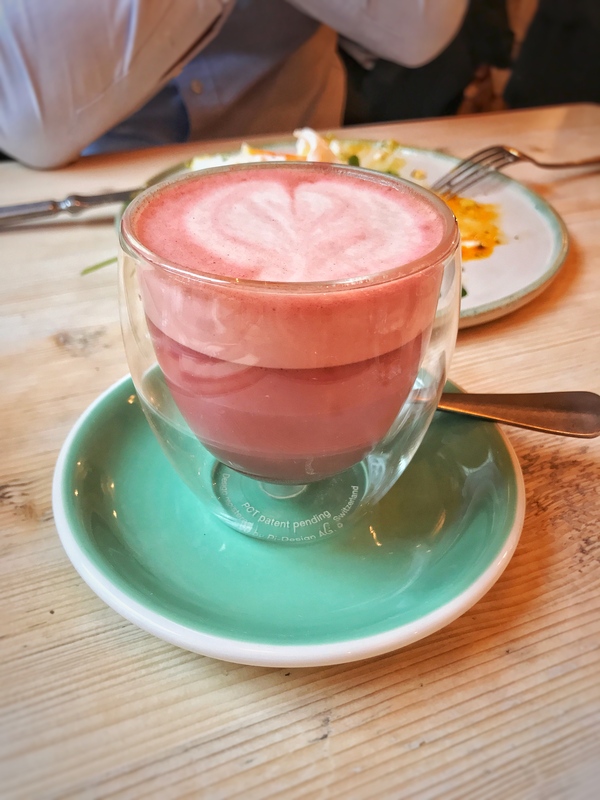 To start with, we enjoyed deliciously warming Red Velvet Oat Mylk Lattes with a gorgeous pink colour thanks to the fresh beetroot juice and raw cacao powder. The red velvet latte was their special of the day, although they do have a delicious core range. Next we enjoyed the classic avocado toast – presented and served to perfection. Thickly sliced sourdough toast topped with creamy smashed avocado, chilli flakes and a deliciously thick and ‘cheesy’ coconut labneh. The fresh watercress and herbed oil added a refreshing touch to the dish. This Smashed Chilli Avo packed a real flavour punch. They also offer a variety of topped toasts and even sweet potato ‘toast’ to go with their all-day brunch options. 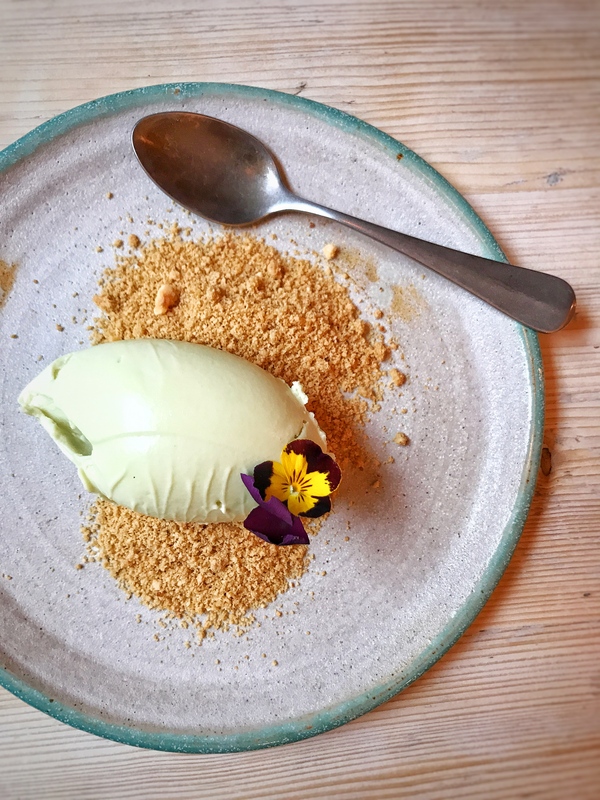 To follow, we shared their vegan (and gluten free) dessert: white chocolate, lime and avocado cheesecake. A de-constructed dessert with a biscuit-y crumb and the creamiest quinelle-style “cheesecake”. It beautiful balanced sweet and tangy thanks to the dairy-free white chocolate and zesty lime juice. 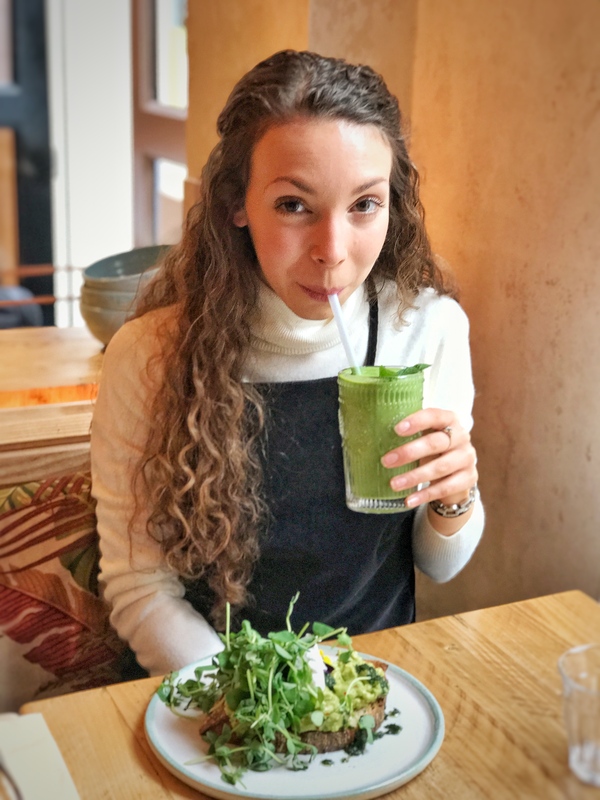 You can read my full review over on Glowcation (including that thick and creamy Rocket Smoothie) and read my Glowstar Interview, too! For more information on Avobar you can check out their website and Instagram. It’s now on my list “to try.” Thanks for the recommendation. I love avocados. It’s the best place for you then! I hope you’ll love it.